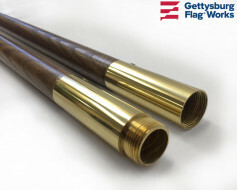 The one pole that is just the right height for all popular sizes of indoor/parade flags. No tool required for quick, easy twist-lock setting of telescoping sections at any height from 6' to 10'. 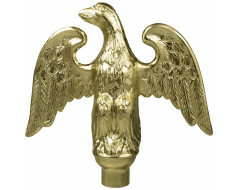 This pole comes complete with ornament top adapter, cord & tassel ring, flag rings and capped bottom. 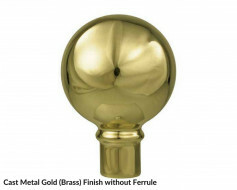 Available in bright gold anodized finish only. 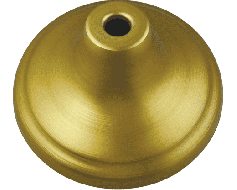 If you need a different finial, or have questions about the parts working together, please call us at 888-697-3524 and we will be happy to assist you. 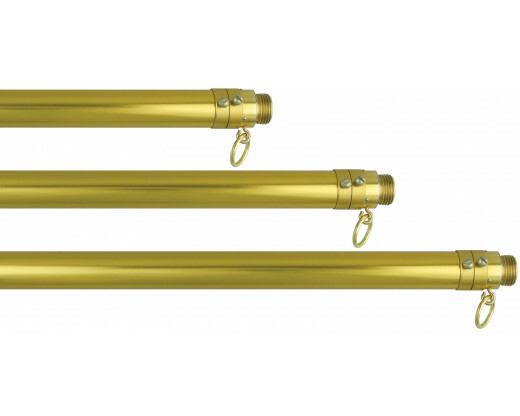 You're reviewing: 6-10' Adjustable Gold Aluminum Pole, 1 1/8"